Until recently, plant breeders have depended primarily on classical tools to develop new and improved products for producers and consumers. However, with the advent of biotechnology, breeders are increasingly incorporating molecular tools in their breeding work. 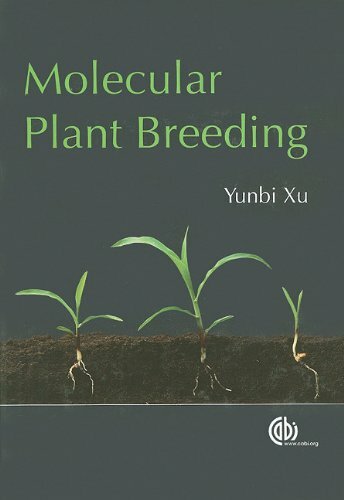 In recognition of the current state of methods and their application, this text introduces both classical and molecular tools for plant breeding. 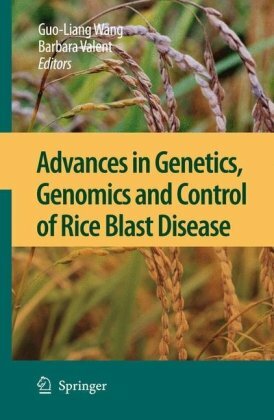 Topics such as biotechnology in plant breeding, intellectual property, risks, emerging concepts (decentralized breeding, organic breeding), and more are addressed in this state of the art text. 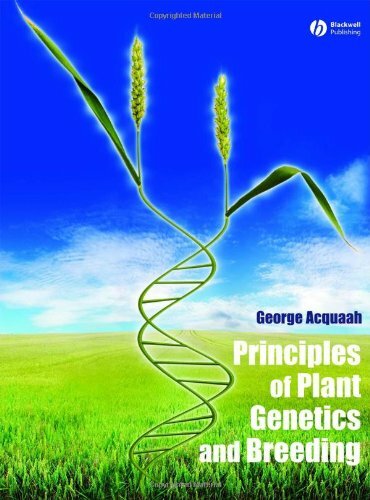 The final 8 chapters provide a useful reference on breeding the largest and most common crops. In addition, over 25 plant breeders share their professional experiences while illustrating concepts in the text. 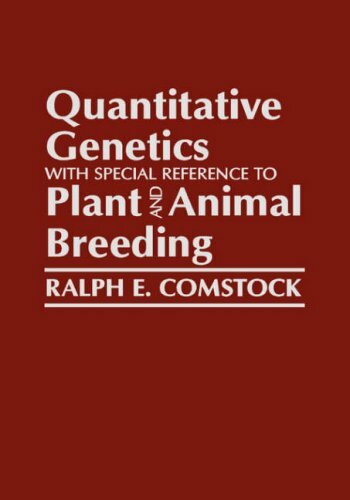 Great reference for breeders and other applied crop/plant geneticists. Emphasis is on maize, and applications to other outbreeding species but there is equal relevence to workers in self-pollinated species. The section on estimation of variances (mating designs etc.) and effects are among the best around. An essential volume to have, keep and cherish. It's not bedside reading (...hmmm!!) I regularly refer to my copy when my students aren't reading it themselves!! Plant genetic resources is a rapidly expanding field of interest that is becoming increasingly important as global warming affects the patterns of world agriculture. Every country will have to consider more active breeding programmes to develop new varieties of crop plants adapted to the changing conditions. Plant genetic resources will provide the raw material for these breeding activities. 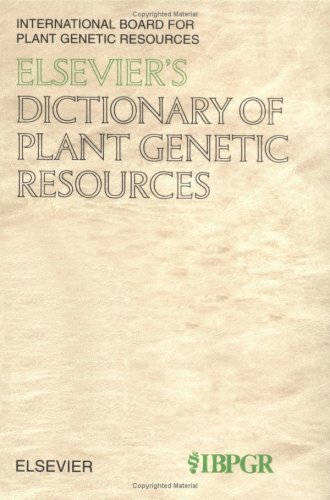 This dictionary is in effect a glossary of the terms used in the field, defining words drawn from the many, diverse areas of interest that plant genetic resources involve, from plant taxonomy to molecular genetics. Over 1800 definitions are provided, all of which have been developed in consultation with experts in the field, particularly the genetic resources units of the international agricultural research centres of the Consultative Group on International Agricultural Research. IBPGR is one of these centres. Students, postgraduates and in particular the staff of national programmes in plant genetic resources will be interested in the book, as well as the libraries of connected institutions. 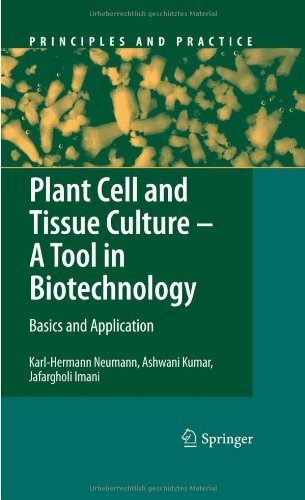 This book provides a general introduction as well as a selected survey of key advances in the fascinating field of plant cell and tissue culture as a tool in biotechnology. 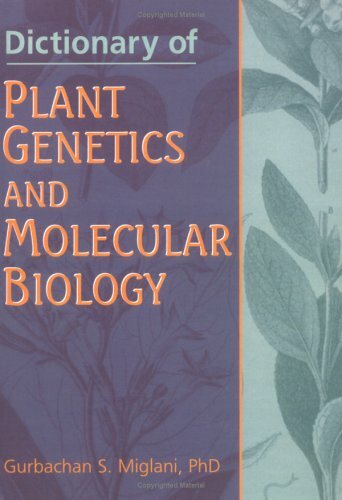 After a detailed description of the various basic techniques employed in leading laboratories worldwide, follows an extended account of important applications in, for example, plant propagation, secondary metabolite production and gene technology. 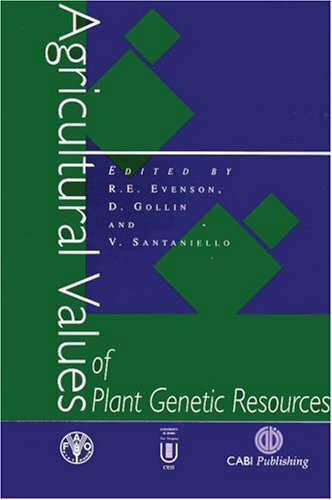 Additionally, some chapters are devoted to historical developments in this domain, metabolic aspects, nutrition, growth regulators, differentiation and the development of culture systems. The book will prove useful to both newcomers and specialists, and even "old hands" in tissue culture should find some challenging ideas to think about. Throughout history, humankind has pursued means to improve the yield of crop plants through selective plant breeding and hybridization. Today, genetic manipulation provides a powerful tool for directing plant breeding. But how is genetic manipulation implemented? What benefits can it offer? And what are the broader issues surrounding the use of this technology? 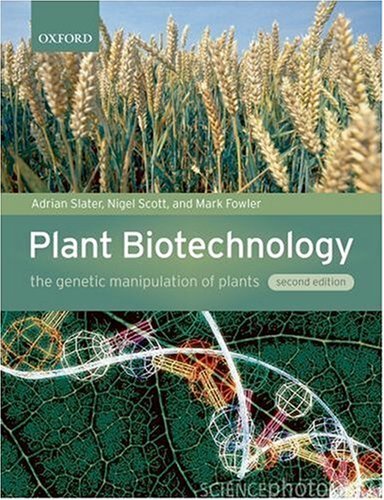 The second edition of Plant Biotechnology: The Genetic Manipulation of Crop Plants presents a balanced, objective exploration of the technology behind genetic manipulation, and the application of this technology to the growth and cultivation of plants. The book describes the techniques underpinning genetic manipulation in a clear, lucid manner, and this influential tool is used in practice. Plant Biotechnology and Genetics explores contemporary techniques and applications of plant biotechnology, illustrating the tremendous potential this technology has to change our world by improving the food supply. As an introductory text, its focus is on basic science and processes. It guides students from plant biology and genetics to breeding to principles and applications of plant biotechnology. Next, the text examines the critical issues of patents and intellectual property and then tackles the many controversies and consumer concerns over transgenic plants. 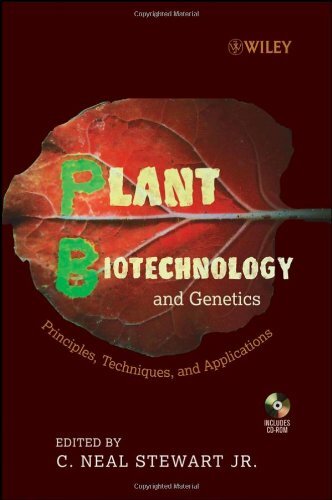 The final chapter of the book provides an expert forecast of the future of plant biotechnology. Each chapter has been written by one or more leading practitioners in the field and then carefully edited to ensure thoroughness and consistency. The chapters are organized so that each one progressively builds upon the previous chapters. Questions set forth in each chapter help students deepen their understanding and facilitate classroom discussions. Inspirational autobiographical essays, written by pioneers and eminent scientists in the field today, are interspersed throughout the text. Authors explain how they became involved in the field and offer a personal perspective on their contributions and the future of the field. The text's accompanying CD-ROM offers full-color figures that can be used in classroom presentations with other teaching aids available online. The fast-growing sugarcane plant is a major source of sugar (sucrose) in tropical and sub-tropical regions. The high productivity of the plant also makes it a key target for use as an energy crop. The fiber of the plant is used to generate electricity and produce ethanol as a fuel. Sugarcane is a hybrid of two species, each of which is genetically complex. 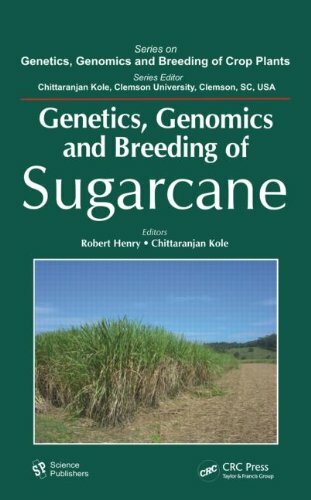 The high level of genetic complexity in sugarcane creates challenges in the application of both conventional and molecular breeding to the genetic improvement of sugarcane as a sugar and energy crop. 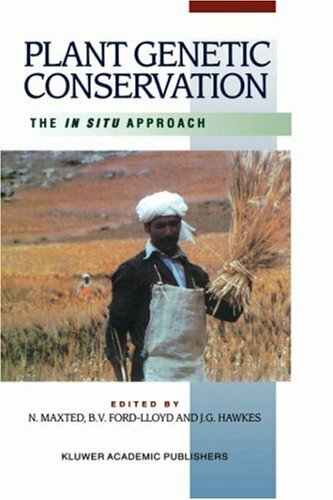 This book describes technologies that support the continued use and improvement of sugarcane as source of food and energy. Recent technology developments indicate the potential to greatly increase our understanding of the sugarcane plant by application of emerging genomic technologies. This should result in an increased rate of improvement of sugarcane for human uses. 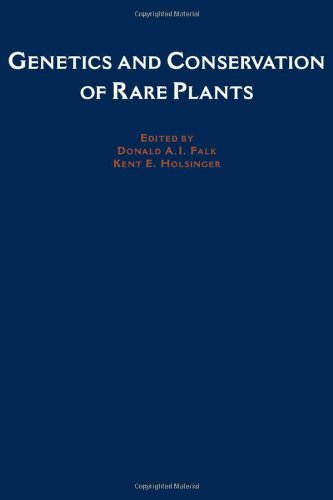 This two-volume work surveys the entire range of general aspects of chromosome research on plants. This first volume is divided into two sections. 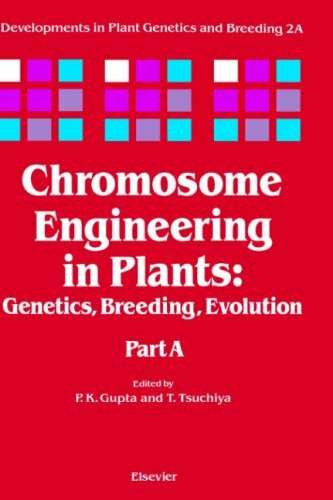 Section A consists of 11 chapters covering the entire range of general aspects of chromosome research in plants (including a chapter on genetic engineering in crop improvement). Section B is devoted to cytogenetics of cereals and millets (wheat, rye, barley, triticale, oats, maize, rice, pearl millet, and minor millets). More than one chapter is devoted to the same crop to give a detailed treatment of chromosome research (including molecular biology) in these crops. 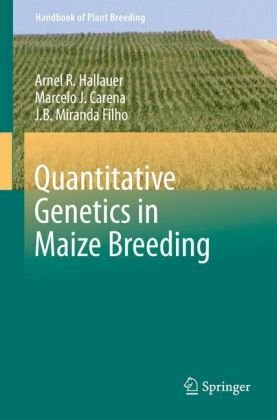 This book introduces the basic concepts and methods that are useful in the statistical analysis and modeling of the DNA-based marker and phenotypic data that arise in agriculture, forestry, experimental biology, and other fields. 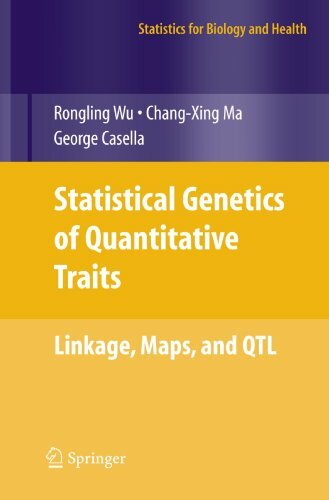 It concentrates on the linkage analysis of markers, map construction and quantitative trait locus (QTL) mapping, and assumes a background in regression analysis and maximum likelihood approaches. 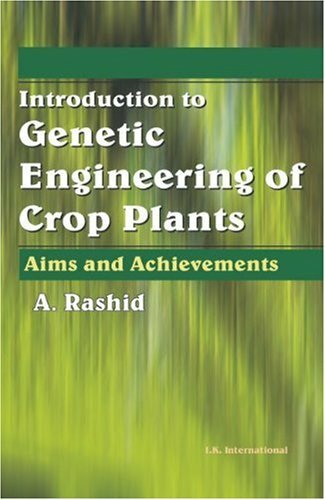 The strength of this book lies in the construction of general models and algorithms for linkage analysis, as well as in QTL mapping in any kind of crossed pedigrees initiated with inbred lines of crops.